Keep your Rock Shox Reverb running like new by performing the suggested routine maintenance. This full rebuild kit is for 2017 Reverb Stealth B1. It includes everything you need to perform the suggested 400hr service. Have a sagging reverb? 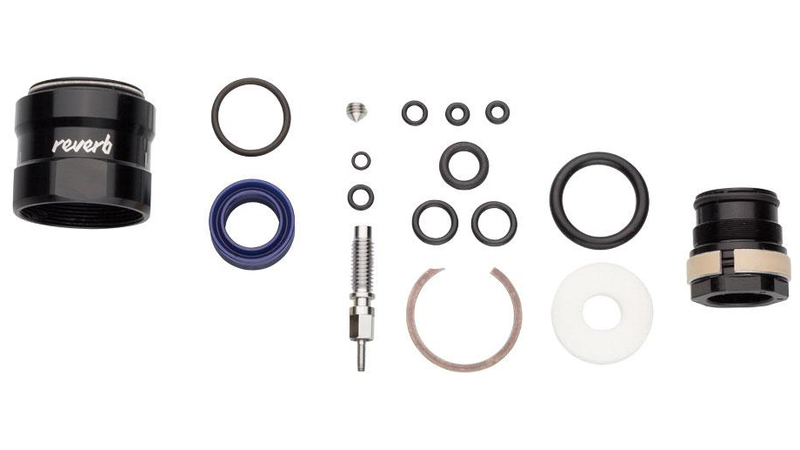 This Kit has everything for a complete rebuild. The picture that they show is totally inaccurate on what you'll get. It comes with replacement Top Cap(entire unit), Inner Seal Head(entire unit), Internal Floating Piston(Upgrade), Replacement o-rings for the inner shaft and poppet valve. This kit solved my bouncy reverb post. Just received the service kit and it did not include the keys as pictured, not a big deal but now I have to place another order, wait for it and pay shipping.